The HOM-700 truly provides a one-of-a-kind enhanced observation experience. 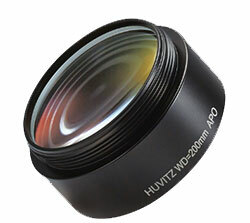 Witness clear images, even in low-intensity illumination. doctors the confidence to know they will not miss a single segment. resolution ultimately allows for precise surgery and flawless outcomes. transmission for safe, comfortable ophthalmic surgery. for up to four surgeons, store patient data, and enable video recording. easy for surgeons to maneuver in the clinical environment. eye­strain, especially during extended procedures. 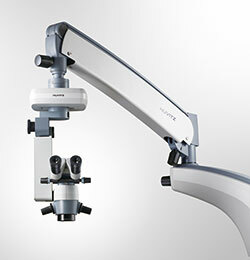 An optional tilting optical head helps surgeons remain comfortable even during extended surgical procedures. Hands-free surgery is achieved precisely and effortlessly. 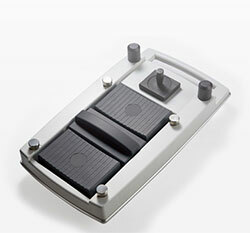 pedal control using the built-in computerized control panel. create a surgical theater environment for teaching or observation. 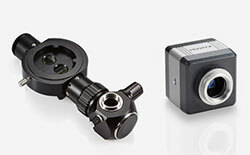 Accessories include a beamsplitter, C-Mount and HOM Camera.